So I couldn't really wait and my friend K had some free time so she dropped by to help me realise my plans. 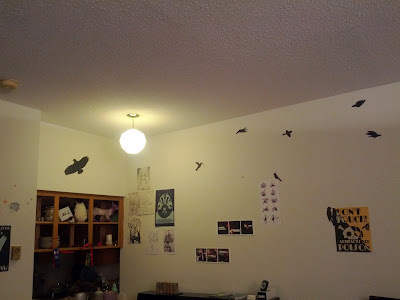 We have 18 distinct flyers up there, and they're not all birds. There are hawks, a cardinal, sparrows, a wood pecker, hummingbirds, a Fantail, and a few generic birds. 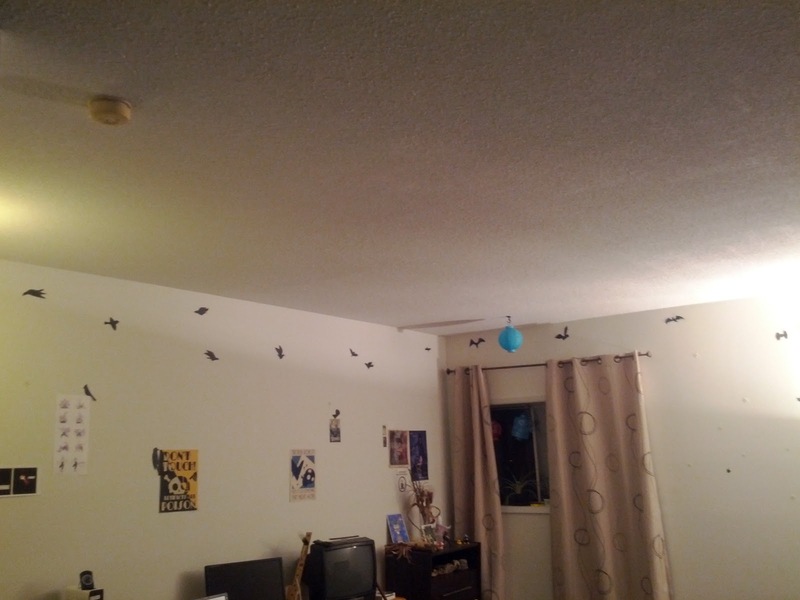 There's also 3 bats and a TIE fighter. One bird is not pictured in the above two photos. 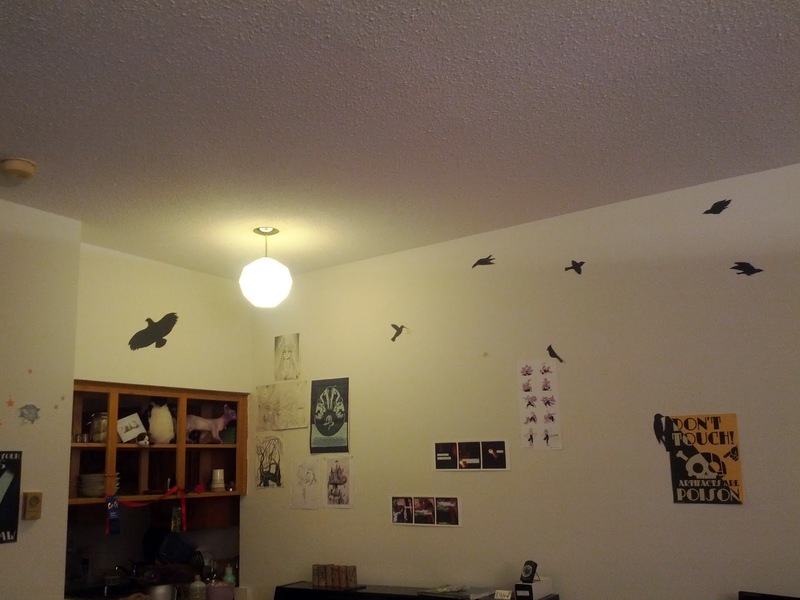 The concept I linked the other day also proposed suspending some from the ceiling but I need more stick tack for that. =D More photos in my PicasaWeb/G+ album.